Roses for Katelyn was made for my sweet niece. 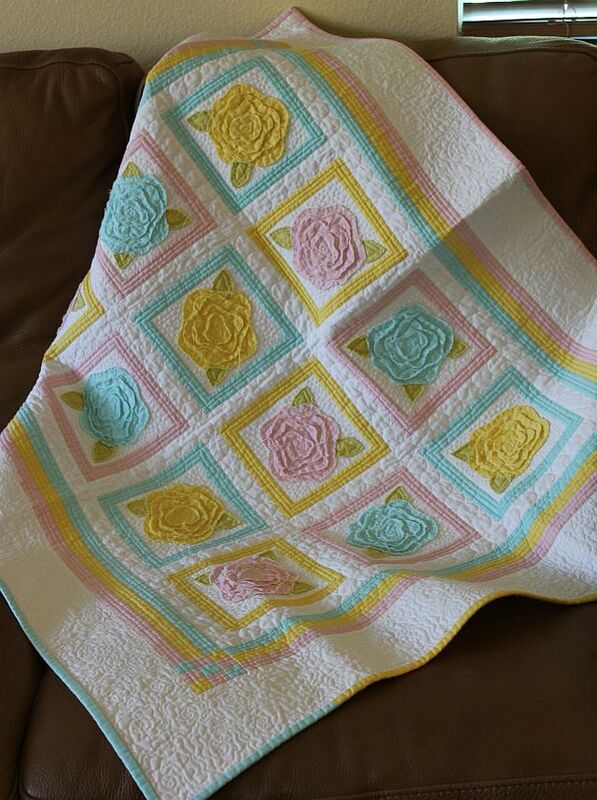 I used the French Rose Buds pattern and tweaked the design slightly. 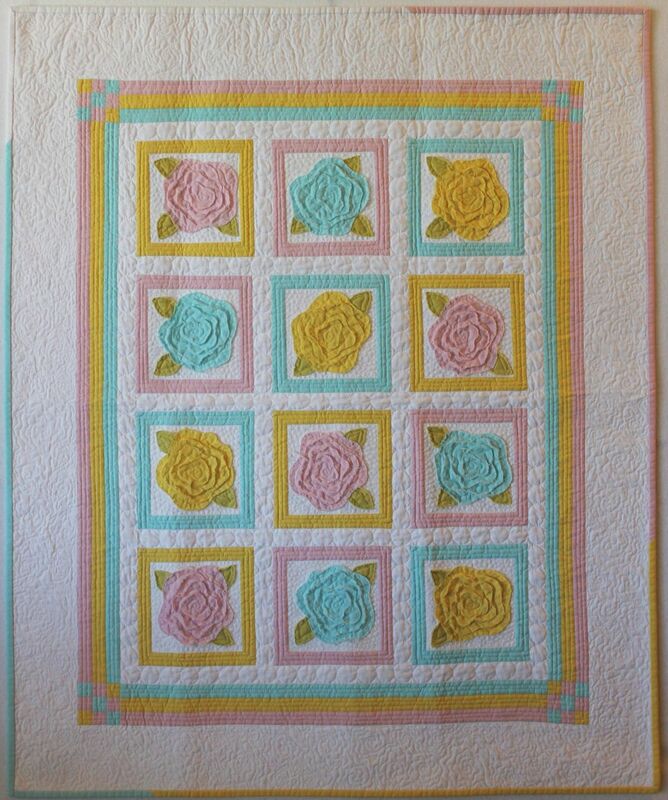 The solid pastels against the snowy white background make a sugary sweet quilt perfect for a baby girl!